Choosing a carpet cleaner isn't easy. Why? Because you're bombarded with misleading advertising, confusing claims and simply bad information. From super-low prices and high-pressure sales – to unqualified technicians and near-worthless methods – how do you ever find a qualified, competent, professional carpet cleaner? You start by reading this Consumer's Guide. In this fact-filled booklet, you'll discover how to avoid four carpet cleaning rip-offs, eight mistakes to avoid when choosing a carpet cleaner, and four steps to a fresh, clean, healthy carpet. We wrote this guide to help you better understand carpet cleaning. Now, with this information, you can make an informed, intelligent decision. And if you have any questions about carpet or upholstery cleaning, you're invited to call us at (262) 354-8422. We've dedicated our business to educating consumers. We'll be happy to help you in every way. Jeff Daniels, technician for Paul's Carpet & Furniture Cleaning since 2004, is now the owner. 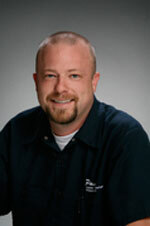 Jeff has been in the cleaning service industry since 2004 working for Paul's Carpet & Furniture Cleaning. My company is certified by the Institute of Inspection Cleaning and Restoration Certification. This business is dedicated to helping homeowners get the highest return from their carpet and hard surface floor covering investment. I welcome your inquiries and will gladly answer your questions over the telephone. Call me at (262) 354-8422. Carpet Audit ™, Consumer Awareness Guide™, and Most Thorough Cleaning Ever or it’s FREE® are Registered Trademarks and Trademarks of Piranha Marketing, Inc., and are used on this site with permission.